Dept. of Practice Makes Perfect: Metro last week held an exercise for some of its bus operators: a wheelchair securement competition to test an essential skill. Below are a few pics that I took of the operators in action. The best part of my job, btw, is meeting the people who actually help you get from A to B to C everyday. The whole group! 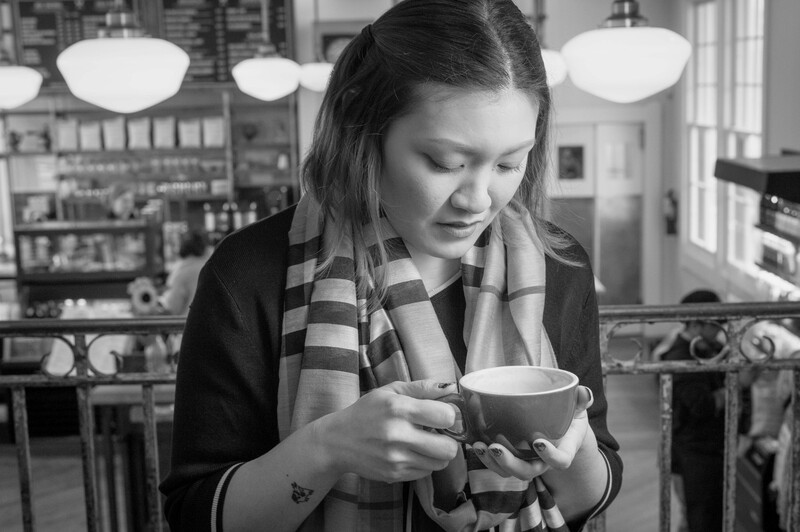 Photos by Steve Hymon/Metro. ICYMI: Some actions taken Thursday by the Metro Board. From Twitter: Many riders issued complaints via Twitter about delays on the Blue Line and Expo Line during the afternoon commute Wednesday involving train congestion along Washington Boulevard and Flower Street. Operations staff are well aware of the complaints and are working hard to get staff in place to keep trains rolling better. Please let us know how it’s going either on Twitter or commenting here. Dept. of Doomsday: I have a hard time believing we’re 4.5 minutes closer to doomsday than during the Cuban Missile Crisis of 1962. But the Bulletin of Atomic Scientists says otherwise; here’s their announcement, which makes for some provocative reading — and may be especially effective as pre-Happy Hour fare. In any event, until the clock strikes midnight/zero we kindly ask that you don’t forget to TAP and please no running around buses and trains — for your own safety! The Metro Board voted 8 to 0 to award a $1.37-billion contract with Tutor Perini/O&G to build the second section of the Purple Line Extension between Wilshire/La Cienega and Century City. Tutor’s bid was $493 million below the next lowest bid and $873 lower than the third place bid (there were three bids total). The firm and Metro were in a prolonged legal squabble over billing stemming from its work on the Red/Purple Line in the 1990s. As LAT transpo reporter Laura Nelson notes, of the 13 Metro Board Members four were absent for the vote (Eric Garcetti, Mike Bonin, Sheila Kuehl and Mark Ridley-Thomas) and another was conflicted (Kathryn Barger). You can watch/listen to the discussion here — click on item 50. Staff reports here. Good news! A contractor is about to begin rehab work on the old Santa Fe depot that has been in extreme disrepair for years. The station sits right next to the Gold Line’s Monrovia Station and may become a restaurant, according to the above city description of the project. The Gold Line, as attentive readers know, runs along the old Santa Fe right-of-way between Union Station and Azusa. Once upon a time, the Super Chief that ran between L.A. and Chicago stopped here. Cool. Readers With Entrepreneurial Spirit: There’s another old Santa Fe depot in downtown Azusa that needs some love and rehabbing. Advocates for the change have been making a push on social media and were at Thursday’s Metro Board meeting. Metro currently has about 2,200 buses powered by compressed natural gas — much cleaner than the diesel buses of days of yore, but CNG is still a fossil fuel and, as well all know, burning FFs = global warming. The Metro Board last year asked for a plan to eventually convert the bus fleet to zero emission vehicles. Here’s Metro’s response: the agency is in the process of purchasing zero emission buses and that will help determine overall “cost and operational capability” of getting more buses in the future. •Metro has issued a request for proposals to purchase new buses, including up to 600 4o-foot CNG buses, up to 400 60-foot CNG buses, up to 100 40-foot zero emission buses and up to 100 60-foot zero emission buses. •In October Metro received its 900th and final CNG bus from New Flyer. •The agency last fall received a $10.5-million federal grant for the purchase of 30 near-zero emission CNG buses. CNG is compressed natural gas that burns cleaner than the diesel buses of old. •The agency last fall also received a $1.875-million state MSRC grant to install near-zero emission CNG engines in 125 buses as part of their mid-life overhauls. One other point that I think is worth mentioning: I, too, like the idea of quieter and cleaner electric buses. The challenge for government agencies: finding the money to buy them and making sure they can withstand the day-in, day-out beating that many city buses take. Why? Because there are tens of thousands of people who early depend on buses. Also this: Metro has 2,200 buses. 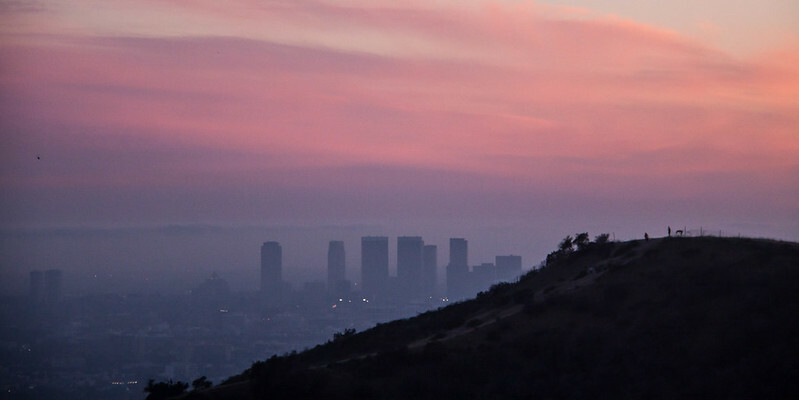 But there are more than 7.8 million registered cars and trucks in Los Angeles County. 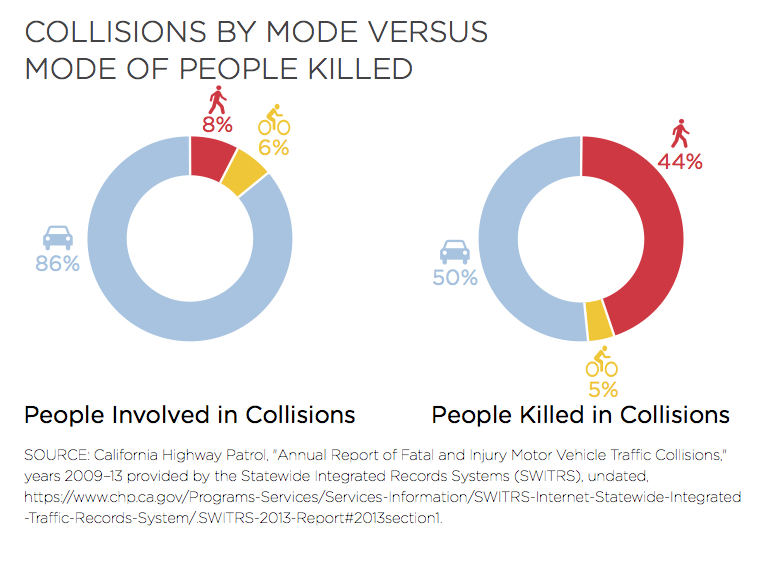 The city of L.A.’s transportation department released “an action plan” as part of their effort to eliminate all traffic deaths in the city by 2025. In 2016, there were 260 deaths involving motorists, cyclists and pedestrians. The plan is basically a way to keep raising awareness of the issue, Joe Linton reports, and points to some of the hurdles that will need to be crossed. Two big ones, IMHO: eliminating stupidity and getting the police in L.A. (and elsewhere for that matter) to actually enforce existing traffic laws. Musk tweeted the other day — perhaps jokingly — that he’s ready to start digging a tunnel. That inspired a round of media stories even though there’s no obvious tunnel projects in the area. Lazy. Here’s a better story: Musk likes to build things. So does President Trump. Musk believes in climate change and runs an electric car company (among other things) and thinks a carbon tax would help reduce the nation’s greenhouse gas emissions. Okay, that’s probably not Trump’s preference, but the NYT reports their interests may align when it comes to creating jobs, something that Tesla has accomplished quite well. Quasi-related: will the Keystone Pipeline actually get built now that President Trump wants project to go forward? Depends on a lot of things, so says the NYT, including U.S. domestic oil production, permitting, capacity for refining heavy crude oil at Texas refineries and Canada’s own appetite for the project. The agency also faces scrutiny for other workplace accidents. It’s been a rough few years for the subway in our nation’s capital — which for years was held up as an example of a shining, modern transit system. Actually…under the Measure M spending plan the project to extend the Gold Line for 12.3 miles from the Azusa/Glendora border to Claremont has a completion date of FY 2025-27. And, in fact, the Gold Line Foothill Extension Construction Authority earlier this week adopted a plan in which early work would begin this October with project completion in 2025-26. So why the headline? In 2015, the Authority was gunning for a 2023 completion date but that was before Measure M burped forth. Among the Measure M projects this one is a bit unique because it would be built by a Construction Authority, not Metro. There’s a long backstory there, but in this case the Authority was set up by the state of California to plan and build the Gold Line from Union Station to the San Gabriel Valley when in the 1990s Metro originally balked at the plan. These days, Metro usually builds transit projects itself — but that’s not a knock on the Foothill folks, who I think have done a masterful job of growing support for the project and building it. As Curbed rightly notes, this is a bit of a complicated project because the existing tracks used by Burlington Northern Santa Fe and Metrolink must be moved in order to accommodate the two Gold Line tracks. The Claremont Metrolink station also has to be moved. A similar move had to be made on the extension to Azusa, although that involved only the stretch of tracks between Duarte and Azusa — this move needs to be done for the entire alignment. •Metro will provide the funding for the tracks in Los Angeles County — i.e. to Claremont. To get to Montclair in San Bernardino County, about $70 million will be needed from S.B. County. That’s an important station because it would have a ton of parking and connections to bus lines serving both S.B. and Riverside counties. S.B. County hasn’t identified the funding yet but officials have said they are committed to doing so. If they do, great! If not, the project has been environmentally cleared to end at Claremont for the time being. •More than double the amount of parking is planned for the extension. That should help take some of the heat off the existing stations, particularly in Irwindale and Azusa, which are used by riders who live east of those cities. It’s a limited supply high-tech Doritos bag with a $10 Uber coupon attached. Smart. Except if you’re too drunk to drive you’re probably drunk enough to spend money on something more edible than Doritos. Like sea salt & vinegar Kettle chips or those giant bags of pistachios from Costco. Glad to hear that the Monrovia Santa Fe Depot is being restored! Hmm… so Elon Musk wants to build tunnels. Does he know that you guys have been looking into public-private partnerships? We need to hyper-loop freight from the ports. Get rid of all that truck traffic and have them pick it up in Pacoima (or some other point outside the city). Musk doesn’t understand and doesn’t like cities. He’s all about the convenience of his commute. ^^^^^ yes he’s a selfish ****.. I clicked on Historic Santa Fe Depot, but didnt get Monrovia Weekly; instead I got a report (5/2016) from the Monrovia Historic Preservation Commission. There might be an obvious answer to this, but here in Denver, the new rail lines (notably the one to the airport) run adjacent to freight tracks and supposedly the FRA would not allow the line to be LRT after the Metrolink crash in Northridge. So what we have are much more substantial passenger rail cars that are electrified. Was an exemption granted to the Gold Line corridor? The current Gold Line runs adjacent to freight tracks between Duarte and Azusa. It’s a fairly wide right-of-way. Denver does have LRT running adjacent to Freight rail along the old DRG&W towards Littleton, CO, although yes, after one of the many coal trains on that corridor derailed, the FRA (encouraged by Union Pacific) said that the lines running from Denver Union Station would have to be FRA compliant, hence the SEPTA Silverliners running to DIA. The BNSF Freight operation (coming from Kaiser Yard in SB County) runs west as far as the MillerCoors Brewery in Irwindale parallel to the exisiting Gold Line from Azusa to Irwindale, but operates only one train a day in each direction. There is also FRA freight running parallel to LRT in San Diego, in Sna Jose, and in Sacramento on top of Diesel LRT running time-seperated from FRA rail between Escondido and Oceanside. Yes, the congestion of Expo and Blue Line trains at 7th Street Station and on down past Washington Bl. continues, seemingly unabated–even AFTER Metro’s second so-called “Peak Period” of the day (i.e., 4 – 7 p.m., M – F). The result produces the effect of a Metro transit tax on the time of passengers on the Expo and Blue Lines–IN ADDITION to Metro’s monetary tax on the sales of goods throughout L.A. County. I know of even members of Metro’s regional service councils who make special efforts to avoid these MetroRail lines–especially during so-called peak traffic periods–preferring traveling via buses or personal cars, rather than suffering the continual delays and train-car overcrowding that result from the notorious overcrowding of these particular light-rail Metro rights of way. As only one, recent example, yesterday (Thursday the 26th) I needed to depart from the 7th-Street station in time to reach the Sepulveda Expo station in West L.A. no later than 6:39 p.m. in order to catch a 788 Rapid bus northbound from there. In view of the horrors of delay and overcrowding I personally have experienced on both Blue and Expo Line trains starting from DTLA, I gave myself an extra 20 minutes beyond the 38-minute duration shown for that trip on the current Expo-Line schedule (12-11-16). That first Expo train to arrive filled quickly to capacity, with all seats taken and about as many passengers standing as were able to find seats. To add insult to inconvenience, the filled train did NOT immediately depart, and we also endured further long, unexplained and seemingly unnecessary waits at Pico, 23rd-Street, Jefferson/USC, and Expo Park/USC stations–as well as unscheduled stops along the tracks between these early Expo-Line stations. Needless to say, I was late getting to the Sepulveda station, despite my attempt at fore-sight in having given myself more than 50% more time to make the trip than the published schedule indicates. Worse, Metro management offers its passengers no information, much less any assurance, about when, if ever, Metro will get its act together with respect to providing reasonably reliable service EVEN ON ITS EXISTING TRAIN LINES! At the same time Metro seems to be racing ahead on the expenditure of multi-billions more of public monies to build even more new rail lines willy-nilly across the landscape. This is a prescription for administrative disaster as well as continuation of recent declines in passenger usage of existing MetroRail lines. I had 40 minutes of waiting last night at 8:30pm, 20 for the Expo and 20 for the Red line connection. Billions spent on rail and its still faster to take the 4 from Santa Monica to East Hollywood than Expo + Red line. All we want is a train that doesn’t have to stop for every red light. If that is the best you can do then just stop because it’s not worth it. 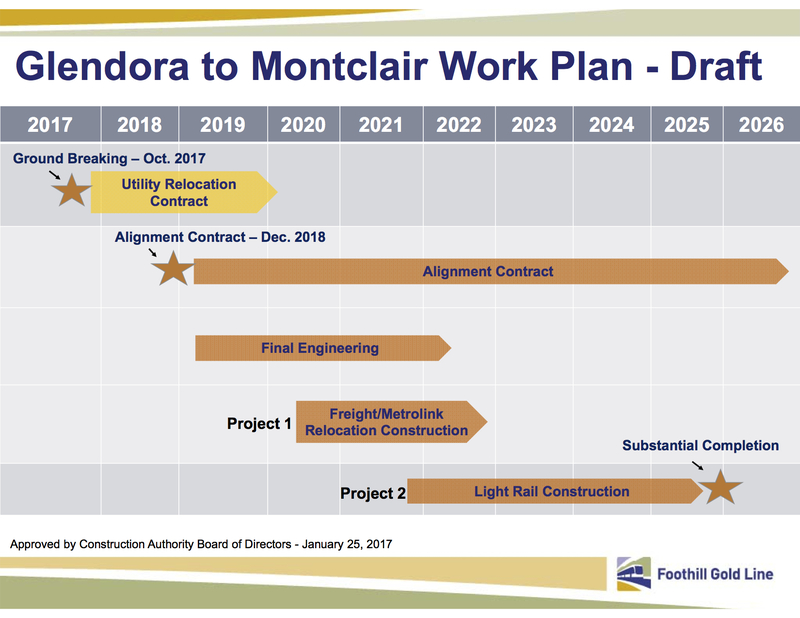 Any word on required SANBAG, er SBCTA participation for the Montclair related Gold Line construction? Their transit planning has avoided anything that supports commuters to / from LA county. I am disappointed that you guys refuse to support for putting majority of zero emission buses into your fleet. For the new proposals, at least half of 40/60 foot bus must be in absolute zero emission, not nearly zero emission CNG. They could be either electric or hydrogen or alternative fuel. It should add up to 400 (40 foot) and 300 (60 foot) buses are in absolute zero emission, which is around 30% of your fleet are zero emission. Remember you guys already got 900 new units, but none of them are absolute zero emission or using hybrid engines. So the next phase of buses replacement should be step forward to even more cleaner fleet, otherwise according to the report above, they will only be only 200 buses, which covers only 9% of your fleet meaning it is not any effort to fight global warming.